A March 3 house fire at 6112 Inman Road in south Fayette County brought extensive damage but no injuries. 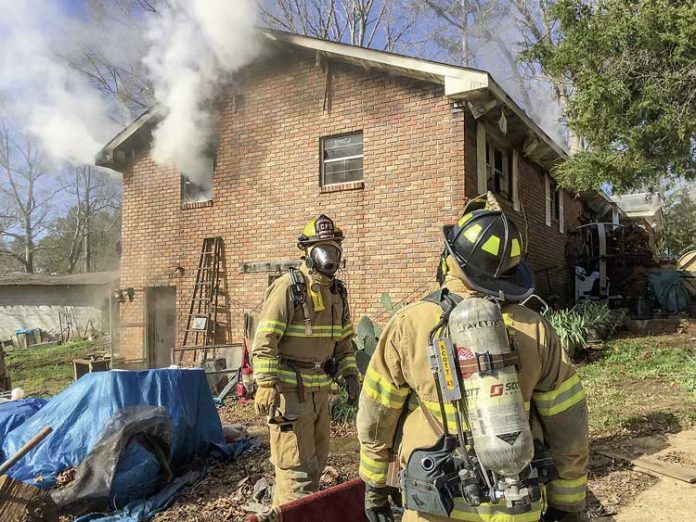 Fayette County Deputy Fire Chief Tom Bartlett said the extensive fire, from which there were no injuries, was accidental and electrical in nature. The Red Cross assisted the seven occupants. Chief David Scarbrough reminded citizens that every residence should have a working smoke detector and occupants should have a home fire escape plan and a meeting place after evacuation. Photo/Fayette Fire/EMS.